"To be able to fill leisure intelligently is the last product of civilisation", wrote Bertrand Russell. I'm sure he was thinking about putting his feet up with a cup of tea and watching a good film. 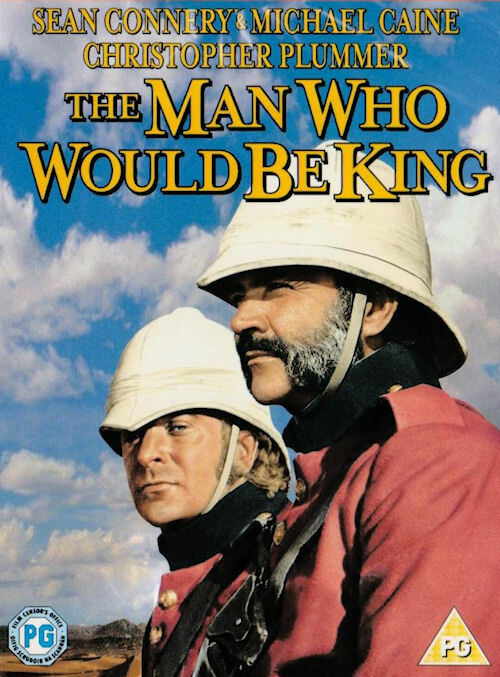 The Man Who Could Be King was directed by John Huston and released in 1975. And it is a very good film. It came out too late for Bertrand, but I'm sure he would have enjoyed it. It's based on a Rudyard Kipling short story. Two ex-soldiers and chancers in British India, Daniel Dravot and Peachey Carnehan, are looking for shortcuts to fortune. They undertake a journey of plunder in neighbouring Kafirstan, thinking they can rule the place and build their own empire. Things take an unexpected turn when Daniel is struck by an arrow in a battle. The locals they've trained to help them with their looting think he's a God. After which Daniel becomes, in his own words, "bleeding high and so bloody mighty". Hubris and greed are their undoing, which climaxes in an unforgettable ending. "You'll be able to slaughter your enemies like civilised men." Caine and Connery effortlessly capture the strengths and failings within each character and that particular camaraderie you only find between soldiers. And the language they use feels right for time and place. Perfect casting. The film uses terrific cinematography and location shooting. You feel the sense of heat and chaos of the Indian subcontinent. Wonderful complementary soundtrack from Maurice Jarre too. 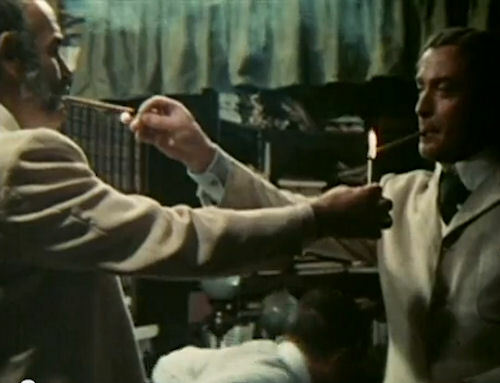 If you haven't seen the film, John Huston will try and convince you to in the trailer below.